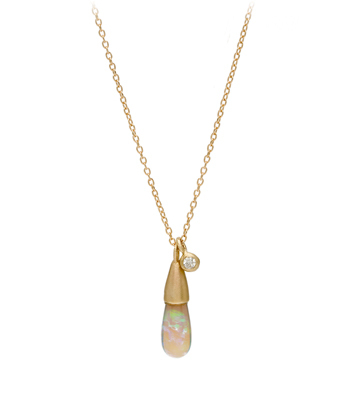 Flowers, flowers, everywhere! 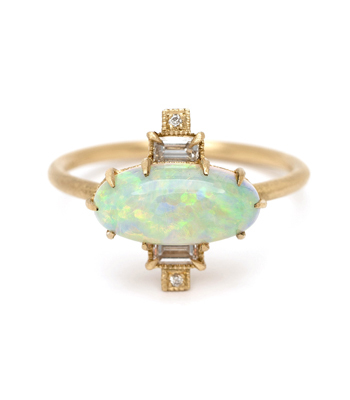 In your hair, home and of course delicately entwined around your fingers in gold and set with a dreamy opals and diamonds. 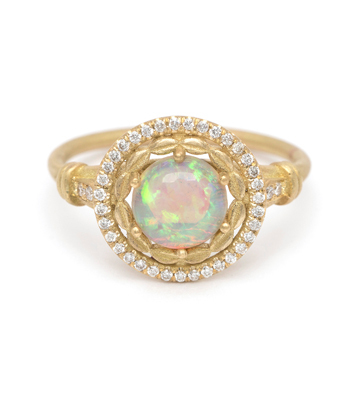 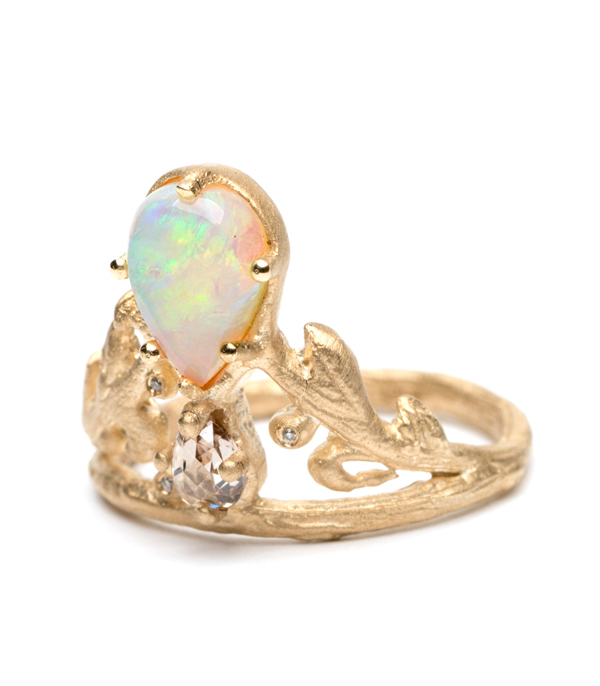 One pear shape Australian opal and rose cut diamond (0.27ct) connect to form a regal silhouette as leafy golden vines and tiny diamond dewdrops fill in the form to create a mini tiara upon your finger. 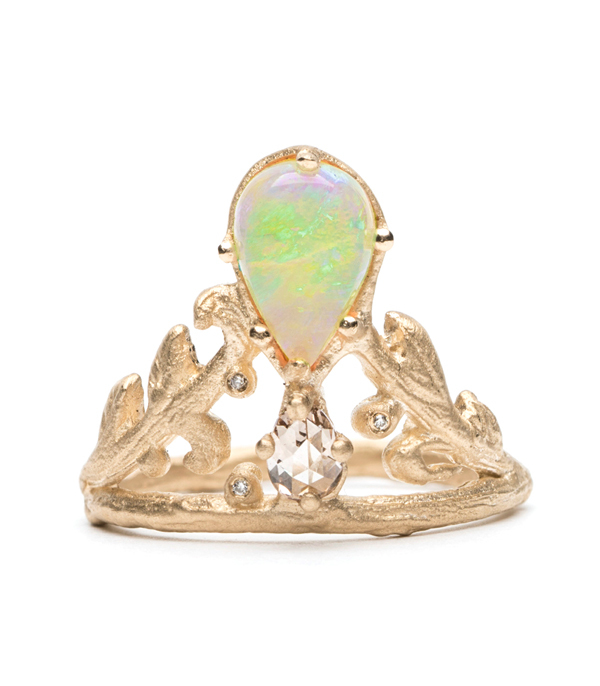 We love the fact that this garland tiara ring puts us in a perpetual state of summer bliss no matter the actual season!